St Mark’s history goes back more than 150 years. 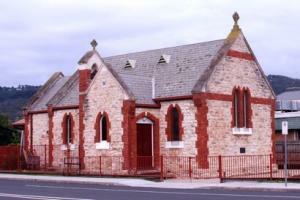 Prior to 1861 matters relating to the Church of England and its people, from and including Frankston to Portsea, were controlled by the Vicar of Frankston. In 1861 the Rev. James Glover was appointed incumbent of the newly erected church of St Peter’s Mornington and he had oversight of the Parochial District from Frankston to Portsea where Dromana was served only once every six weeks. 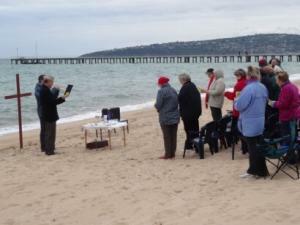 It is believed the first services were conducted under a tree on the foreshore. In 1872 two acres of Crown Land on the foothill of Arthur’s Seat was made available to the Church of England, and in 1876 a meeting was held to talk about the possibility of erecting a church, but no progress was made. In 1877 a further meeting was called. It was decided that it was impractical for members of the Church of England to erect a church solely for themselves, and it was resolved that members of all protestant denominations be invited to assist in the proposal to construct a building of non-denominational character. The site eventually selected was situated on the corner of the Esplanade (now Pt. Nepean Rd) and Heales St, and after a few false starts regarding the building, the first service was held on the 18th May 1879 by the Rev. Thomas Quinton, who had become the Vicar of Mornington. 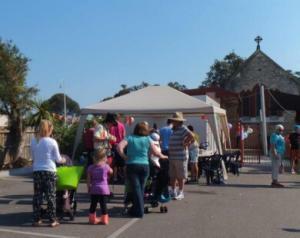 The first reference to the church of St Mark’s was made at a meeting of the building Committee in 1883. Prior to that, all matters relating to any proposals were spoken of as ‘The Church of England’. About 1885, the new Parochial District of Sorrento was formed which included Dromana, Rye, Boneo, Rosebud and Portsea, and in 1886 the Rev. A.P. Chase became the first Vicar. Unfortunately harmony in the Union church was never quite achieved and eventually the church was sold in 1891 under tender to the Presbyterian Church. The balance after business was then divided amongst the three participating member churches (the Church of England, the Presbyterian Church and the Independent Church). From this point on the Church of England congregation worshipped in the Mechanics Institute and the congregation began to work in earnest towards a Church of their own. Eventually the present site on the corner of Pt Nepean Rd and O’Donohue St, was purchased and plans drawn up for the building. On November 7th, 1892, the foundation stone was laid, and on April 7th 1893, St Mark’s was dedicated, but remained part of the Parochial District of Sorrento. In 1960, St Mark’s Dromana, together with All Saints Rosebud, and St Katherine’s McCrae separated from the Parish of Sorrento to become part of a new parochial district. 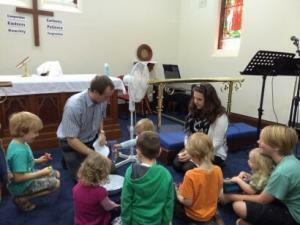 The new parish’s first vicar was the Rev. John Davies. In 1987 the Diocese was concerned at the imbalance which had occurred in the Parish of Dromana due to the large population growth in Rosebud. 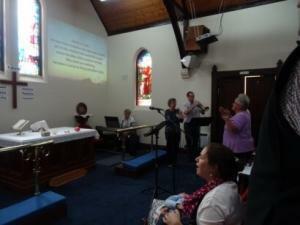 The solution proposed was that a new parish of Rosebud be formed, joining All Saints Rosebud and St Katherine’s McCrae. As this left St Mark’s with insufficient numbers to be viable as a ‘stand-alone’ parish, it was further proposed that St George’s Red Hill be excised from Flinders and join with Dromana. 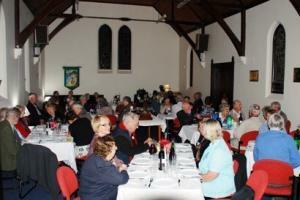 Thus in 1988 St Mark’s Dromana and St George’s Red Hill became one parish. Where formerly there had been two parishes, each with three churches, there would now be three parishes each with two churches. 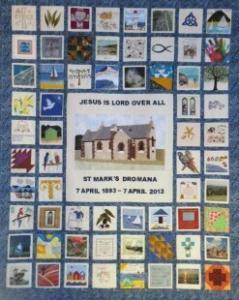 In August 2010, the Diocese de-amalgamated these two centres and St. Mark’s looks forward to a bright new future serving the community of Dromana and surrounds as a parish in its own right. A record of the Vicars over the years may be found here. St Mark’s in Time, Rosemary Kerr, 1992. On Eagles Wings. A History of the Anglican Parish of Sorrento-Rye, David Wood, 1985.